Does past life love = soulmate? Past life love: Soulmates... or a catalyst for spiritual awakening? Exploring the question of past life love was a catalyst for me early in my own spiritual awakening. I happen to sincerely believe in reincarnation and karma, so it made sense to me that I'd encounter others I've known before along the way. Sometimes, it's a comfort level we notice about someone else, a deep knowing. The feeling that that something bigger than we are is pulling us together. It's delighteful. At times, it's also intoxicating and scary. The purpose of re-connecting with a past life love is multi-fold. Yes, you could be soulmates who are meant to be together long-term, and perpetuate love (whether as marriage partners or friends). Or, meeting a past life love may be painful, because of where you left off your love story in that past lifetime. So instead of a marriage partner, a past life love might be a catalyst for your spiritual awakening. This option is not always easy to hear. But the pearl of promise is that through having an intense experience with a past life love, you're balancing karma which you must face in order to grow. And you're getting yourself ready to meet a soulmate who is willing and able to be your dearest friend and partner today. 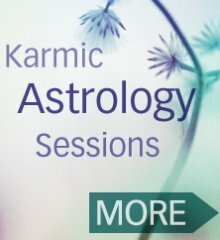 So is a past life love connection always a soulmate you'll settle down with? No. Is an intense connection that shatters your worldview and opens you to new possibilities for yourself, always a past live love? I say Yes. If this has happened to you... I get it. It can be really, really painful. But remember this. Even if you don't end up together, the connection had a purpose. And, you will meet again. Past life love experiences can feel like the biggest wake-up call of your life. Though painful, these experience can crack you open... so that you begin to look at life in a different way. To consider the reality of past life love. To consider karma and the nature of reality itself. To consider spiritual awakening and enlightenment and commit to your own journey. Meeting a past life love will always offer soul-growth: not all growth feels good. Sometimes, a past live love can be a creative catalyst. I wrote the first 120 pages of my novel after having an intense experience with a man I believe I've known before. No surprise: among other things, Moondance explores past life love. Before that experience, I had never even thought about such a topic, let alone writing about it. I call the more challenging types of relationship, a Karmic relationship. But I also believe that every karmic relationship can resolve its challenges and move up what I call The Soulmate Continuum. With each experience together, we create new chapters until finally, we come together free of serious challenges. Though loving and loving a past life love is incredibly painful, it can also be one of the greatest gifts of your life. Did the experience propel you to dig deep into your karma? Put you on a healing or spiritual awakening journey? Did you become stronger, more aware, more yourself? Did the experience lead you to the soulmate you settled down with? Did breaking your heart soften you, make you more compassionate, aware of other's pain? 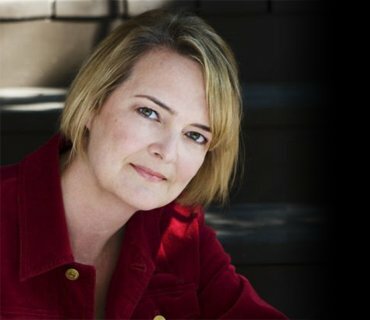 Did it compel you to (dammitall) strengthen your boundaries? Or change your life from the inside out? For a time in a past live love relationship, you may not know if this person is a potential partner, or a spiritual catalyst. But here's what you can control: are the two of you moving up The Soulmate Continuum (closer to Love)? Or are you sinking further into conflict... at the karmic end of the scale? I don't mean to be insensitive here. This is a perspective (for your consideration) that gave me relief years ago when I was recovering from heartbreak... and it continues to hold great meaning for me today. These conclusions did not come quickly... or easily. In essence, I've just shortened about a decade of personal work into a tidy article, so keep this in mind and be kind to yourself. Not everyone will find and lose a past life love. Yet some encounters will be dramatic. Others will pass in and out gently, as choices are made. Others will linger and haunt. Throughout it all, you will grow stronger. Your heart will open wider, magnetizing your match. Your will evolve and awaken further than you ever thought possible! Keep shifting, changing, seeking: your future is bright. Are you now involved with a past life love? Because I sincerely believe in reincarnation, I also believe that all of the significant relationships that we enter into are past life loves. We're here on the earth to be together again... and continue the love stories we started lifetimes ago. If you're sincerely seeking answers at this time, do this. Keep researching reincarnation and past lives. The work of Edgar Cayce (on this site) a great place to start. Bring all of your relationships as close to love as possible (or to a clean, loving completion). Why? Because each time you do this, you move a relationship up The Soulmate Continuum. This creates more potential soulmates. And more energetic space for a past life love you're truly compatible with today to slip in. Don't put off saying what needs to be said. Avoid revenge tactics and sticky unfinished business. Start and finish every relationship with a clear intention to move closer to love. Your thoughts, emotions, words and intention counts. Know deep in your heart that over lifetimes, all past life love stories have happy endings... eventually. And the more that you commit yourself to learning from every relationship you encounter, the more likely it'll be that you attract your soulmate today. Thanks for being curious about past life love! 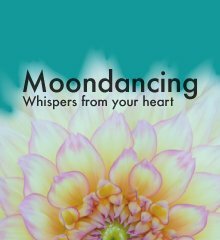 Read about my book on past life love Moondance – an addictive spin on spiritual awakening, soulmates and past lives.